(Vancouver, B.C.) 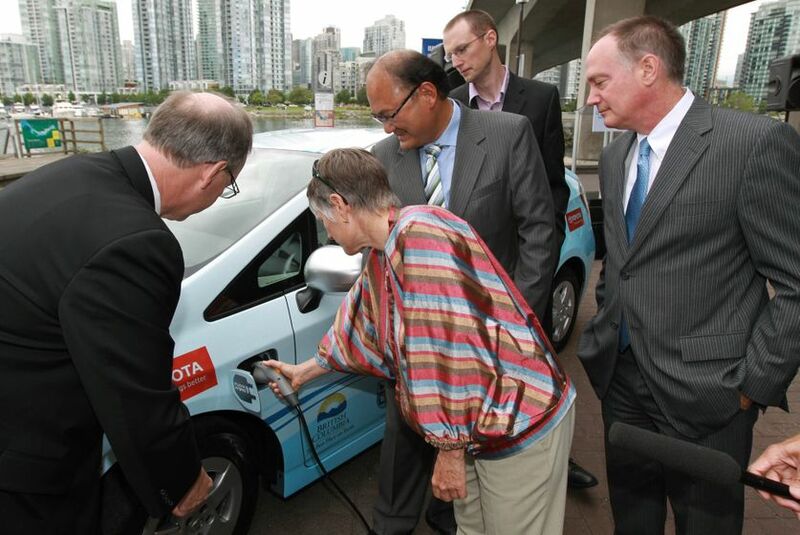 - July 16, 2010 - A new era in sustainable mobility begins in British Columbia, as Toyota Canada delivered a Toyota Prius Plug-In Hybrid (Prius PHV) to its provincial testing partners at a ceremony today. Toyota Canada and provincial partners BC Institute of Technology (BCIT), BC Hydro, City of Vancouver, Ministry of Energy, Mines and Petroleum Resources and the University of Victoria’s Institute for Integrated Energy Systems (IESVic) were all on hand to officially ‘plug-in’ to the future and deliver the Prius PHV to the province of B.C. To mark the occasion, B.C.’s Minister of State for Climate Action John Yap, Vancouver’s Deputy Mayor Ellen Woodsworth, BCIT’s President Don Wright, IESVic’s Curran Crawford and Toyota Canada’s Managing Director Stephen Beatty were on hand for the delivery at 1800 Spyglass Place in Vancouver today. "We're aiming for 15% of all new vehicles to be electric or hybrid over the next decade, which is part of our goal to make Vancouver the greenest city in the world by 2020," said Mayor Gregor Robertson. "With Vancouver aggressively promoting electric vehicle infrastructure on our streets and in our buildings, the Toyota Prius Plug-in is a welcome addition to our city." Toyota’s B.C. partners will share their Prius PHV, which will be fitted with telematics equipment to record vehicle and hybrid system performance. 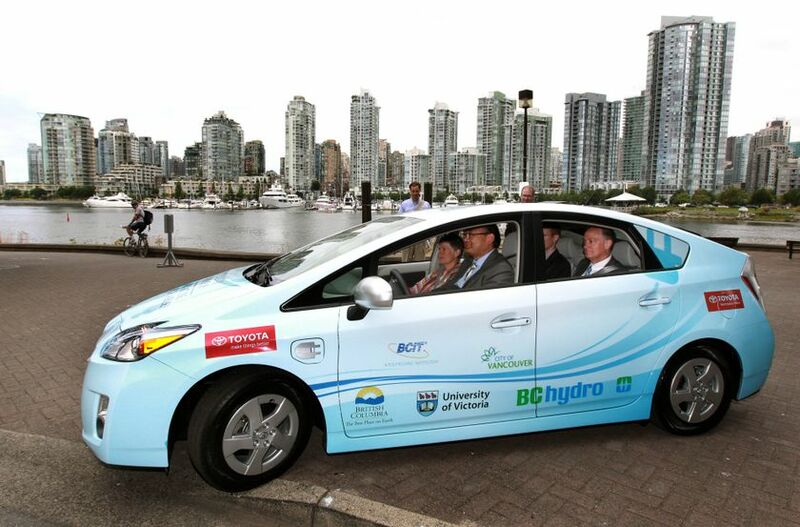 “We are proud to be a part of research using leading edge technology like the Toyota Prius Plug-in Hybrid Vehicle," said Don Wright, president of BCIT. "This is a great opportunity for BCIT to contribute to the increased energy efficiency and reduction in greenhouse gases that are essential to creating the green economy in British Columbia." Canada has been selected as one of the participating countries for Toyota’s global test of the Prius PHV. 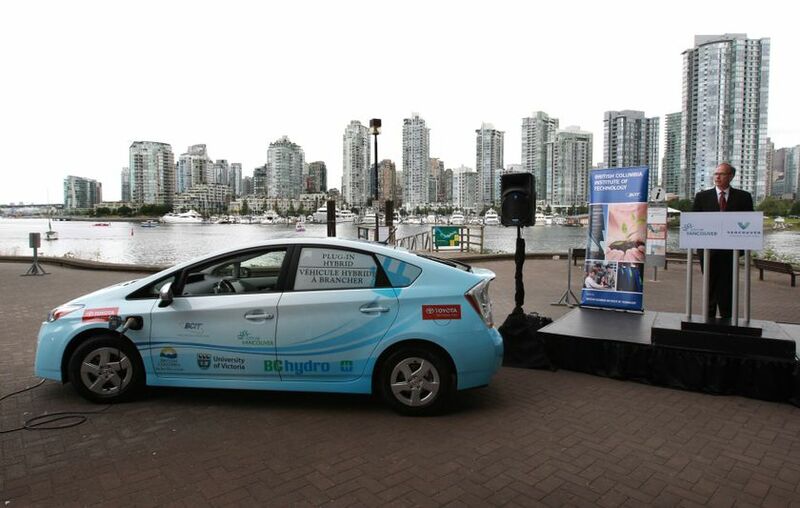 Five Prius PHV vehicles hit the roads this summer with 15 trial partners in 4 provinces in the first phase of a nationwide trial, including British Columbia. This enables Toyota Canada to conduct technical and market acceptance tests unique to Canada’s driving experiences and climatic conditions. The real world trials will continue through the coming winter to assess Prius PHV performance under a range of driving and climate conditions. Moreover, feedback from the Canadian tests will help ensure the Prius PHV performs well in any country where drivers encounter cold temperatures, ice and snow. Toyotas B.C. 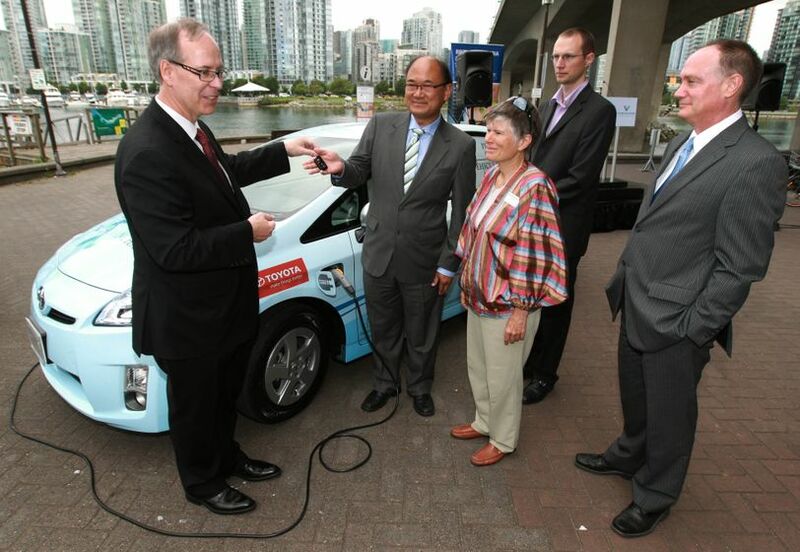 partners plug-in to the Prius PHV (L to R): Stephen Beatty, Toyota Canada Ellen Woodsworth, Vancouver Deputy Mayor John Yap, Minister of State for Climate Action (B.C. ), Curran Crawford, University of Victorias Institute for Integrated Energy Systems and Don Wright, President of BCIT. Toyotas B.C. partners plug-in to the Prius PHV (L to R): Stephen Beatty, Toyota Canada John Yap, Minister of State for Climate Action (B.C.) Ellen Woodsworth, Vancouver Deputy Mayor Curran Crawford, University of Victorias Institute for Integrated Energy Systems and Don Wright, President of BCIT.